Welcome to the Baby Mumble Room. 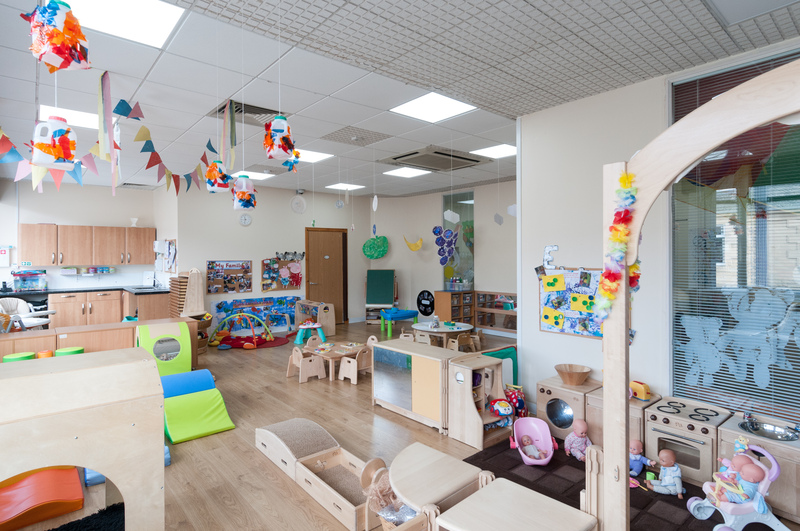 Our Baby room caters for 15 babies’ from 6 weeks – 2 years. 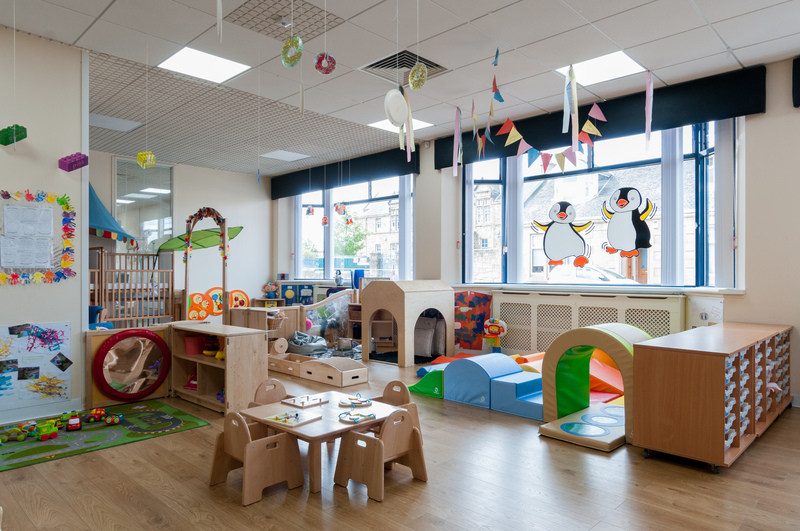 We know that it can be difficult to leave your young child in a setting with unfamiliar faces and that is why it is important that the spaces and environment for a young child is warm and welcoming yet fun and exciting. 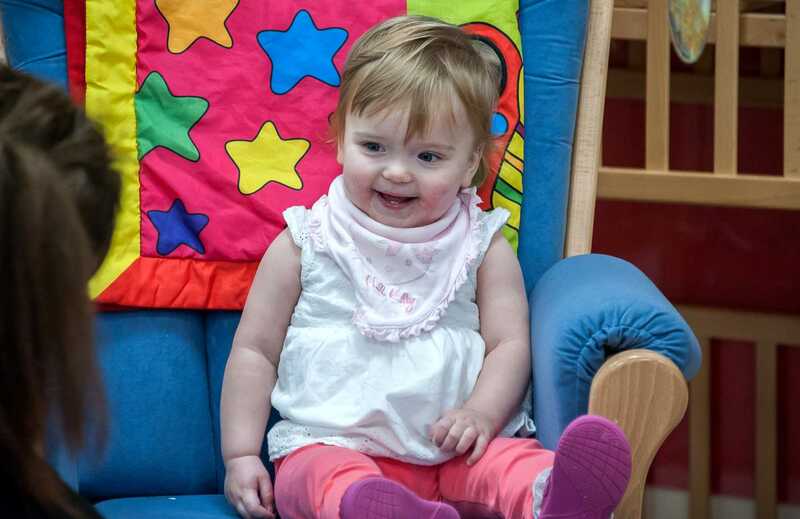 Here at Happy Feet Nursery we know that play is an essential part of a child’s development. 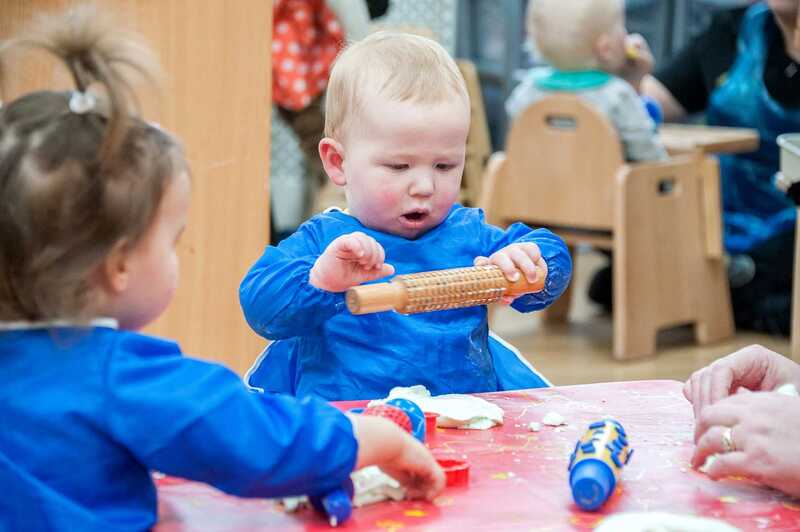 It is our belief that when your child comes here that they are given the best opportunities and resources to enhance their playtime experiences and we promote a versatile and exciting environment. 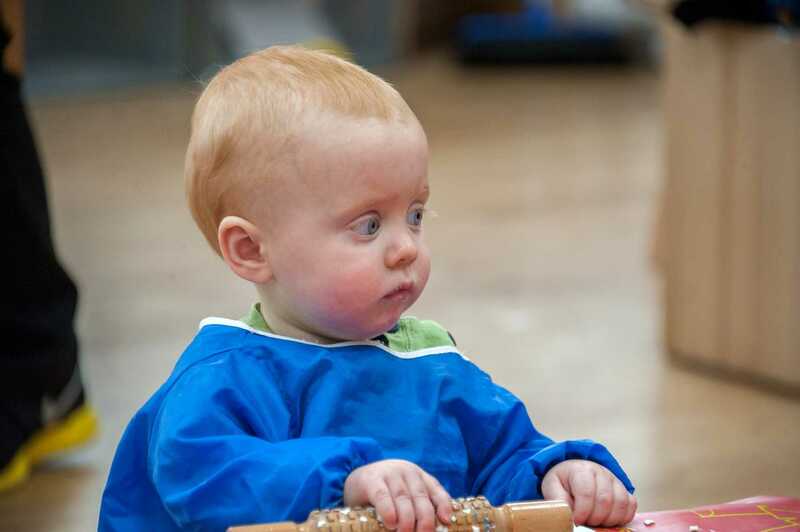 As children’s play is to instinctively respond to the sensory stimulation of everything that is around them the staff promote and encourage open-ended play and provide relevant and stimulating spaces which meet every child’s individual needs. Sensory and Heuristic approaches are used to nurture the child’s curiosity. Natural objects possess a wide variety of sensory properties and many everyday household articles offer a variety of sensory experiences. As a baby shakes a bunch of keys, they notice the sounds they have produced as well as the sensations that they feel in their arms and hands. 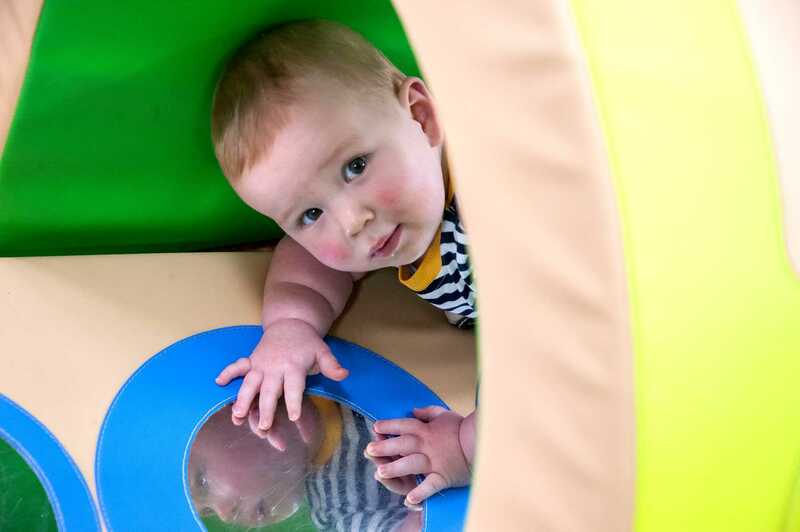 Such actions strengthen cognitive development and motor control and this is why the Baby Mumble Room supports a stimulating and captivating atmosphere. Alongside the fun experiences and opportunities, we provide a nurturing and caring environment. Every child is treated equally and we pride ourselves in the partnership we have with our children’s families. This is an important part of a child’s development and allowing continuity of care and reassurance that every child is treated equally and as individuals. Every child’s well-being is at the heart and centre of everything we do. 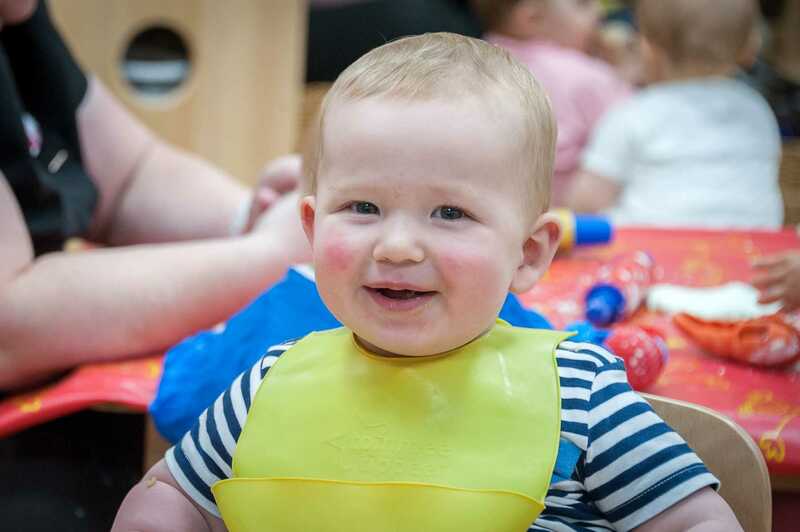 At Happy Feet, we understand that leaving your child for the first time in Nursery is a big event and can be a stressful and upsetting time for you and sometimes, your child, so therefore, we try and make this as easy as possible. 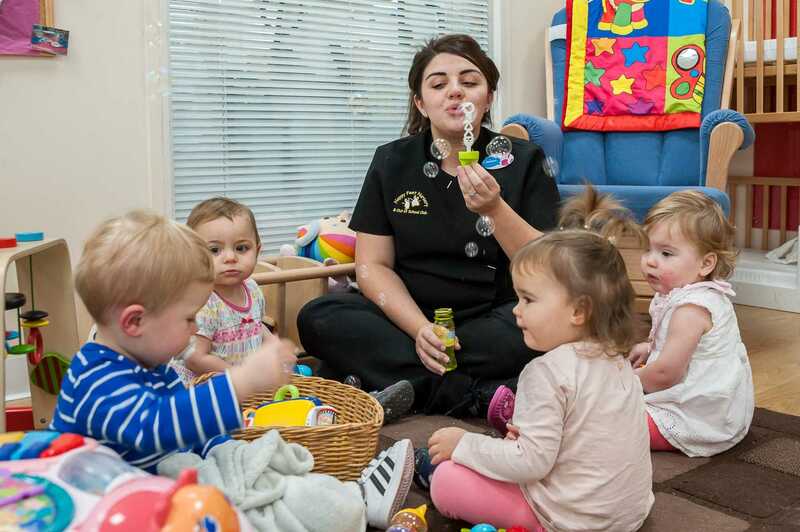 Once your place is booked but before your child starts Nursery, we will offer you and your child the opportunity to attend a free ‘settling in session’. This experience is invaluable and will enable us to begin to build important relationships with you. Settling in is a process which will help you to feel more comfortable and confident in leaving your child, and then on their first day, you will be happy and reassured that your child is contented and settled. You are welcome to stay in the Nursery and view your child playing until you are satisfied that they have adapted to their new environment and are happy. 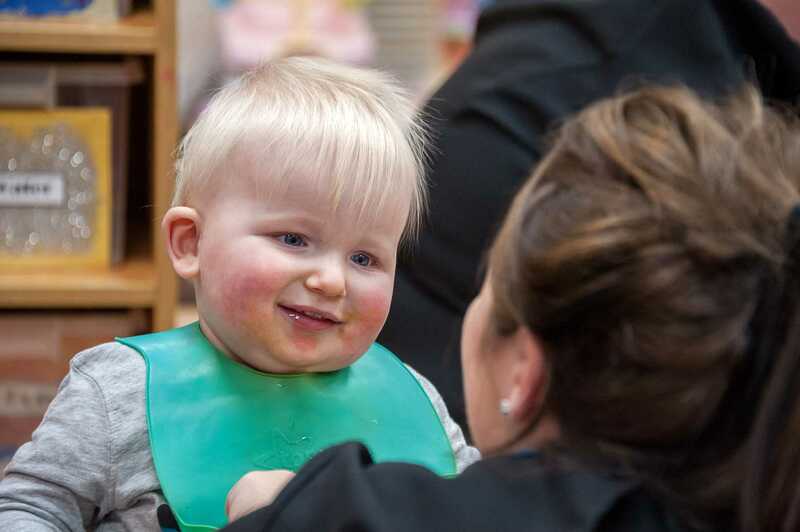 We ensure that you are given every opportunity to talk to your child’s Key Worker and other Nursery staff. Good communication between staff and parents is vital, as it will enable us to provide full reports on the progress your child is making and answer any questions you may have. Parent’s Evenings are held regularly, which gives you and your child’s Key Worker the opportunity to discuss their progress, needs and development.